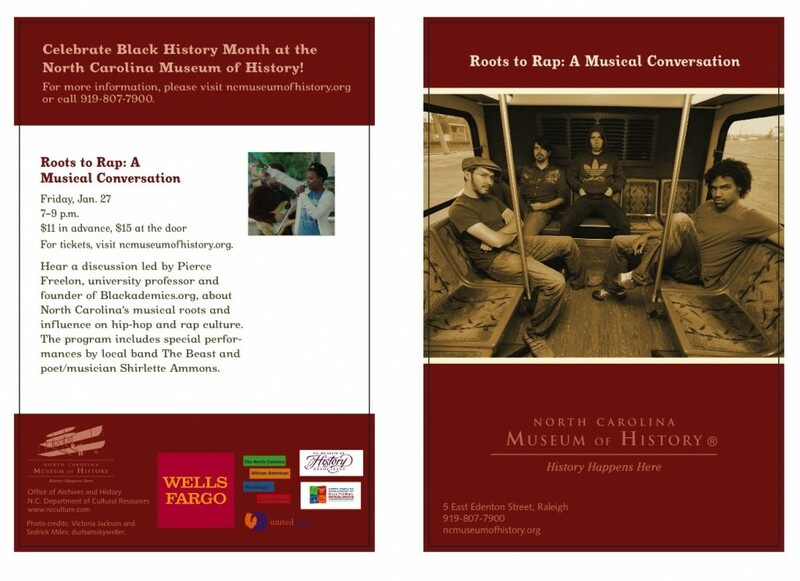 Tomorrow The Beast presents Roots To Rap: A Musical Conversation at the North Carolina Museum of History to kick off their 11th Annual African American Cultural Celebration. Our soul sister Shirlette Ammons opens up at 7PM. $11 advance tickets!